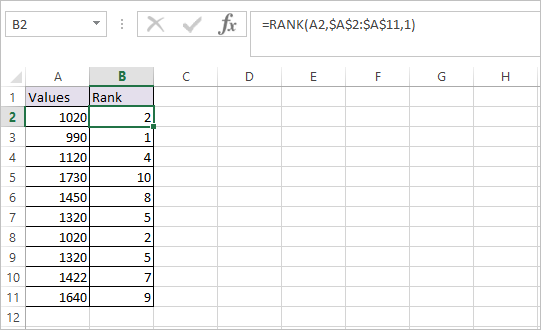 RANK Function in Excel returns the statistical rank of a given value, within a supplied array of values. If there are duplicate values in the list, these are given the same rank. If the numbers are same then the same rank is allocated to them. In our example the value 1320 is found twice and ranked 5th for both the occurrence .Rank 6 is left unused because we have given Rank 5 twice. 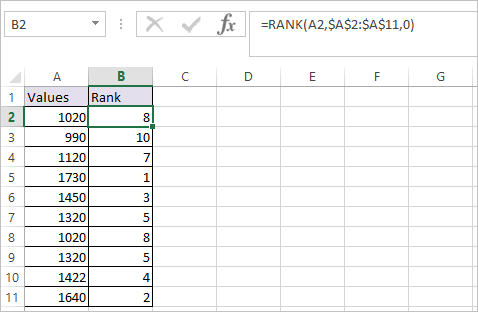 In Rank Function the values are given same rank in case of tie as shown above. 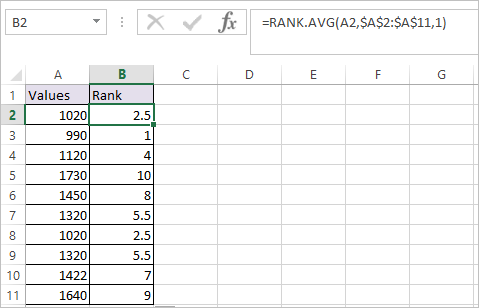 In order to return the average of rank in case of tie in values, use RANK.AVG Function. If the numbers are same then the average of rank is allocated to them. In our example the value 1320 is found twice and ranked 5.5 for both the occurrence .Rank 6 is left unused because we have given Rank 5.5 twice. The [order] argument is 0, so the rank is calculated in descending order. 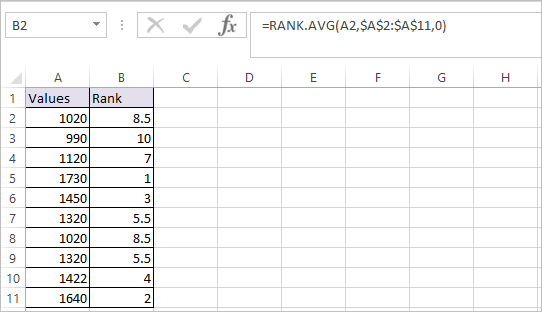 In the below example we used RANK.AVG Function which returns the average rank when same values are encountered and the values are Ranked in Ascending order. The [order] argument is 1, so the rank is calculated in ascending order.